I am not what you would call a sports fan. I played soccer for a few years when I was younger. I sometimes would stop and watch the last minutes of a basketball game my dad was watching on television. Simply, I lack the patience and the interest to watch the full game of any sport. 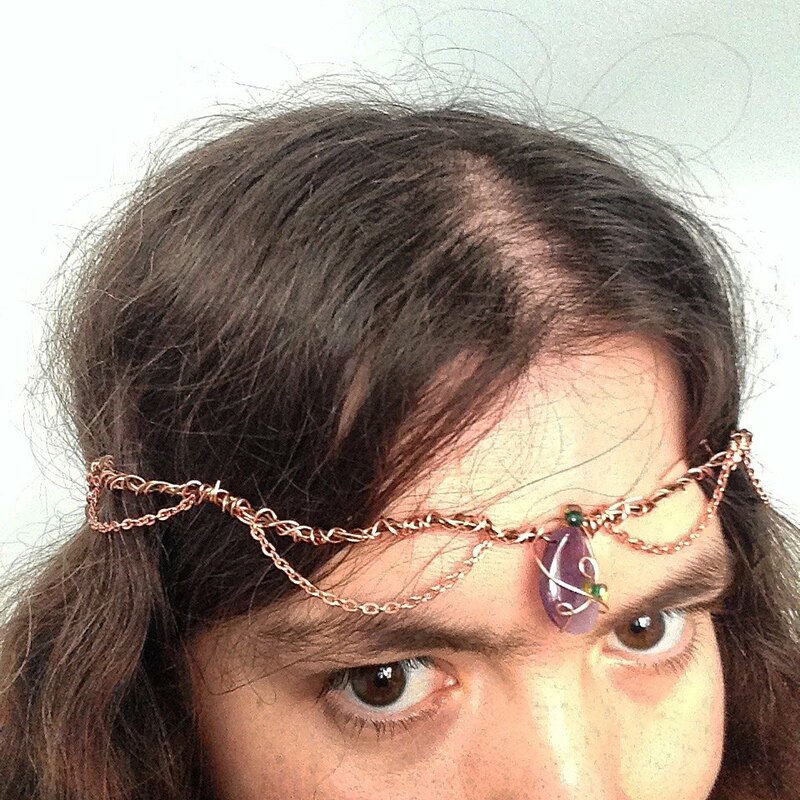 One of my regular customers recently bought this circlet and she sent her family pictures of her wearing it. The next thing I knew, I had a request for two circlets in Broncos colors. I enjoy commissions: they give me a chance to be creative, experiment, and collaborate with my customers. This particular request gave me a new challenge: I am used to working with the colors and energetic qualities of gemstones. However, this project required a different approach. 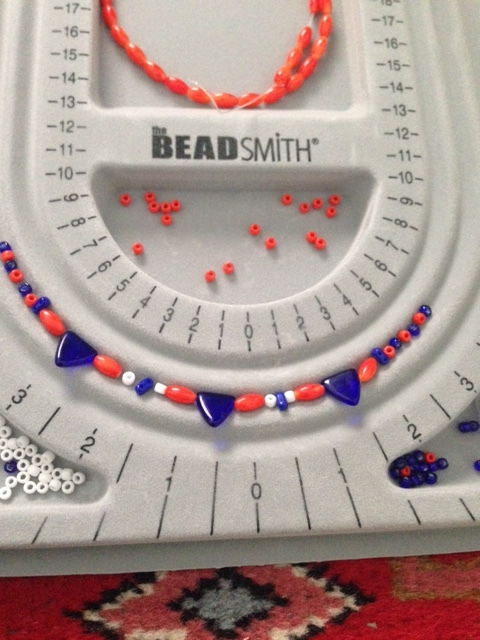 When trying to match beads to Broncos team colors (navy and orange), could I successfully bring out the kind of team spirit a sports fan might have? Could I succeed in making something visually appealing? 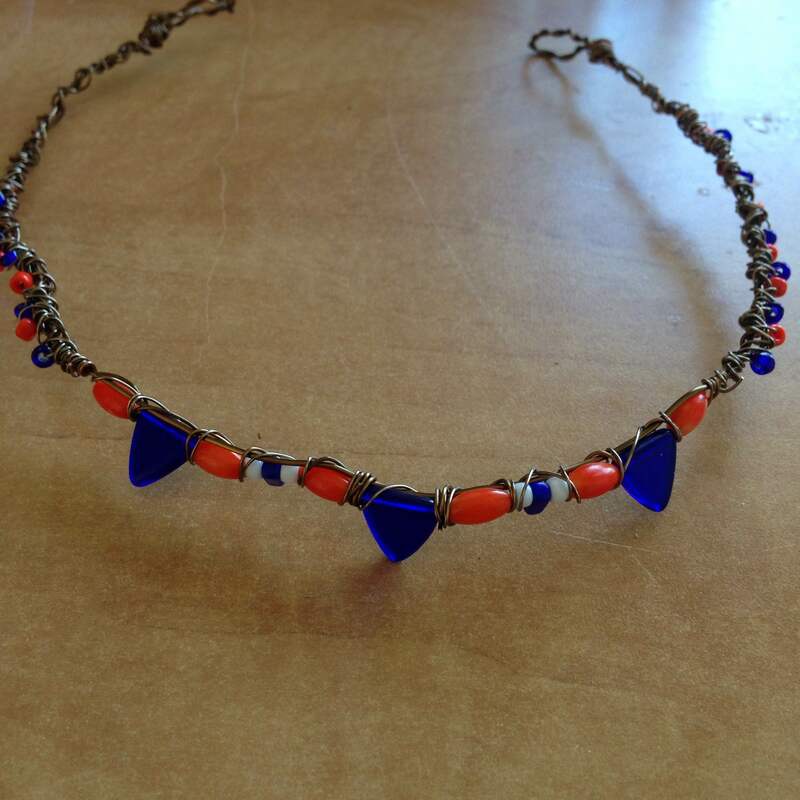 I went to several bead stores to find what I needed: orange, white, and navy seed beads; a strand of dyed orange bamboo coral beads; and finally, several triangular-shaped cobalt blue glass beads. I’m pretty pleased with the result, and the chance this project gave me to practice and come up with something completely new. My circlets are great for Halloween costumes, dressing up, and other occasions. 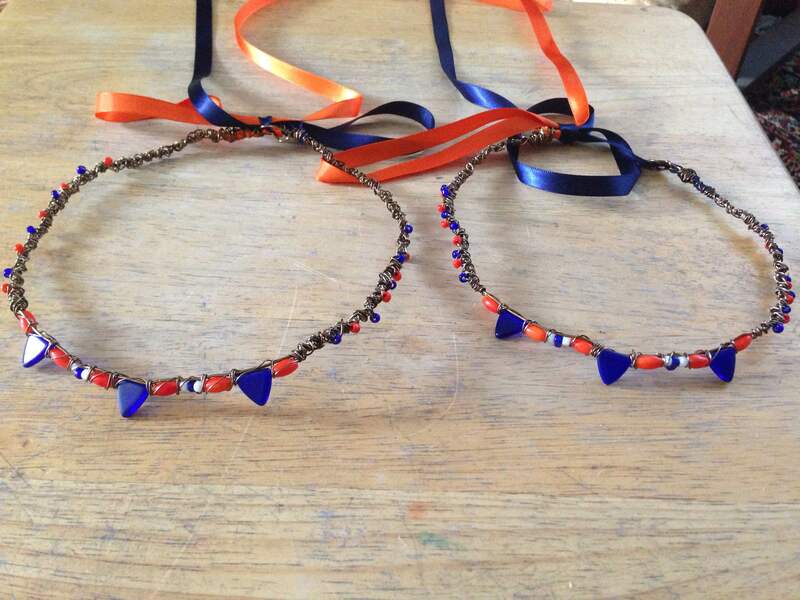 If you’re interested in a custom-made circlet, please contact me here. Me in one of my other circlets.